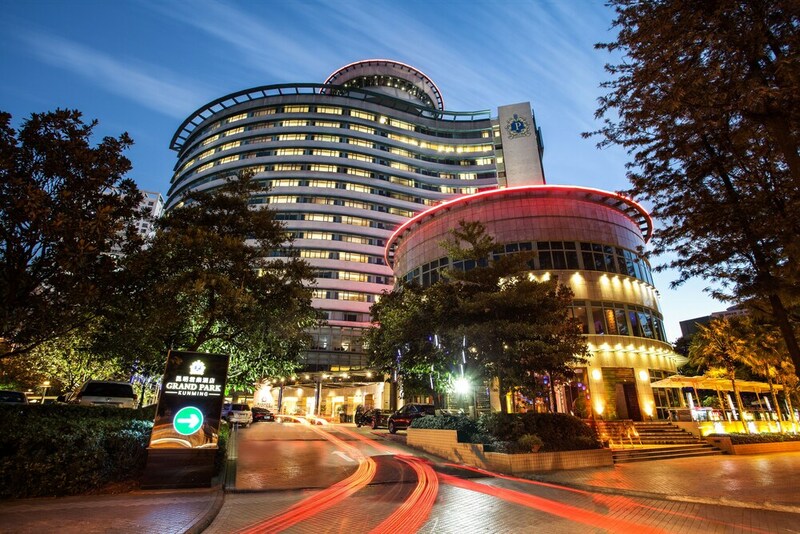 Located in Kunming City Centre, this luxury hotel is within a 15-minute walk of Cuihu Park and Yunnan University. Yunnan Normal University and Yuantong Si are also within 1 mi (2 km). Along with 3 restaurants, this hotel has an outdoor pool and a fitness center. Free WiFi in public areas and free valet parking are also provided. Additionally, a bar/lounge, a coffee shop/café, and a spa tub are onsite. All 300 rooms offer free WiFi and free wired Internet, plus 24-hour room service and LCD TVs with cable channels. Minibars, coffee makers, and free newspapers are among the other amenities available to guests. In addition to an outdoor pool, Grand Park Kunming provides a spa tub, a sauna, and a fitness center. Dining is available at one of the hotel's 3 restaurants and guests can grab coffee at the coffee shop/café. A bar/lounge is on site where guests can unwind with a drink. Wired and wireless Internet access is complimentary. This 4.5-star property offers access to a 24-hour business center and a meeting room. This luxury hotel also offers a terrace, a complimentary children's club, and tour/ticket assistance. For a surcharge, a roundtrip airport shuttle (available on request) is offered to guests. Onsite self parking and valet parking are complimentary. Indulge at Park - This restaurant specializes in international cuisine and serves breakfast, lunch, and dinner. Lago - This restaurant specializes in Italian cuisine and serves lunch and dinner. Park Palace - This restaurant specializes in Chinese cuisine and serves lunch and dinner. Rollaway/extra beds are available for CNY 288 per night. Cribs (infant beds) are available for CNY 288 per night.